Extreame Savings Item! 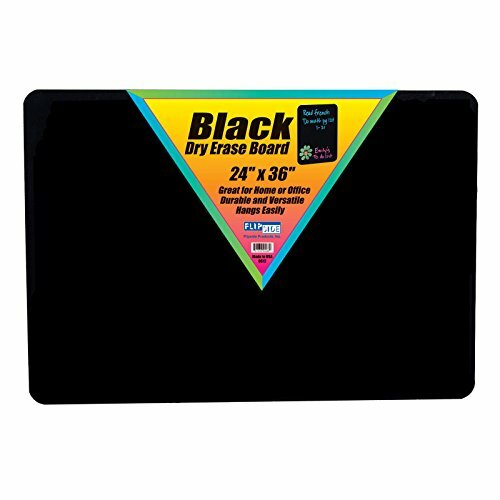 Save 41% on the Flipside FLP40088 Dry Erase Board, 24'' Width, 36'' Length, Black by Flipside at Community Frontiers. MPN: FLP40088. Hurry! Limited time offer. Offer valid only while supplies last. Use neon dry erase markers on this economical, unframed board with a plain black dry erase surface for doodling, academic lessons, agendas and more! Use neon dry erase markers on this economical, unframed board with a plain black dry erase surface for doodling, academic lessons, agendas and more! quality write-and-wipe surface is non-ghosting. Hardboard backing is warp and chip resistant. Rounded corners and smooth edges for comfort and safety. Adhesive squares included for mounting. Measures 24" x 36" x 0.125". made in the USA.